Posted: Saturday, August 5, 2017. 1:32 pm CST. By BBN Staff: This week it was reported that Taiwan will provide funds to Guatemala to build a road labelled as the “road mentioned in the 1859 Treaty between Britain and Guatemala”. The natural question flowing from that announcement is how this event impacts the Belize-Guatemala relations. In an interview with Foreign Affairs officials in Belize, the immediate impact was unclear, since the CEO Pat Andrews stated that an analysis is currently underway to determine the possible impact on trade and long term relationship. Most Belizeans are not interested in trade relationship; the interesting issue would be whether this development impacts the resolution of the unfounded claim to Belize. In the mind of most Belizeans, the Guatemalan claim appears to stem from the 1859 Treaty, as Britain was said to have failed to fulfill her obligations under the treaty – hence Belize inherited this problem. At this juncture, the impact on the resolution of the dispute is a forgone conclusion and a distant memory, since the deal is seal and whatever could have been possible has past us by. 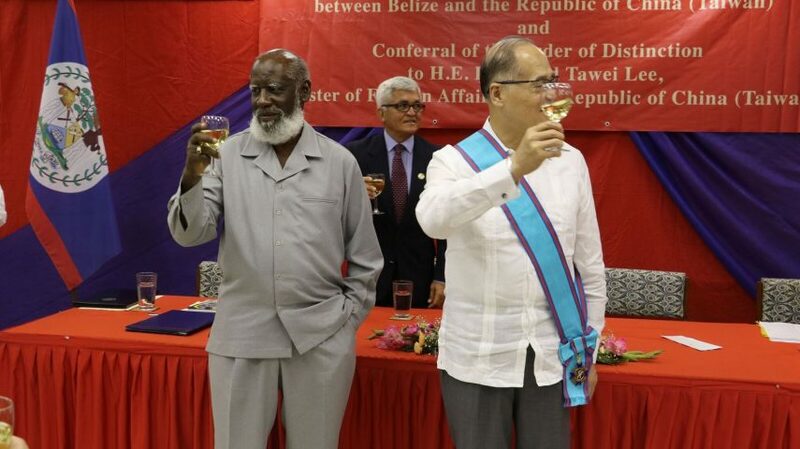 Some sections of the media have questioned the Belize-Taiwan relations, and whether Belize should not be seeking closer ties with mainland China. While the assistance of US$60 million to Belize compared to US$650 for Guatemala by Taiwan appears significantly small for Belize, it is unclear whether that is a reflection of our ability to develop meaningful programs for Taiwan to fund, since there are many other funding opportunities that Belize has failed to maximize. The apparent difference between the assistance to both countries may be more an issue Belize needs to reflect on rather than jumping into a knee-jerk reaction of switching alliances. 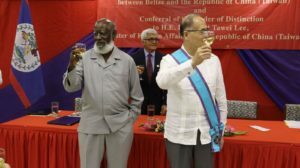 Belize is not Panama, and we must not entertain an emotional response to an issue that may have more to do with us as a country, than with Taiwan as an ally.